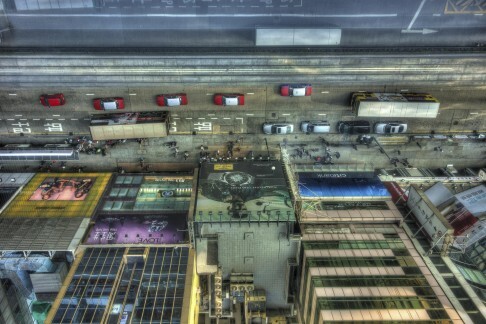 Vertigo,taken from Hysan Place, in Causeway Bay. 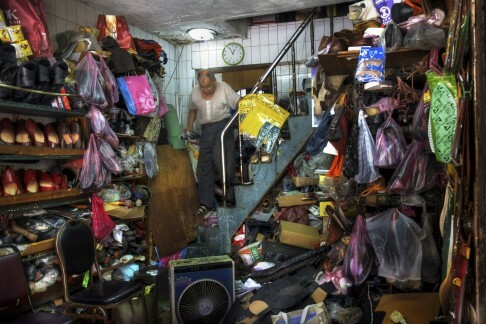 “Looking down on a Hong Kong street can make your legs a bit weak,” says Yen. Brian Yen got his big break on a day out with his daughter at Ocean Park. 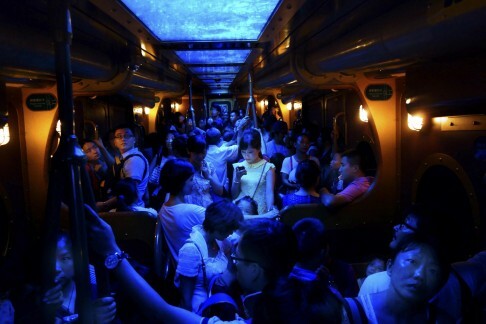 On the Hong Kong amusement park’s Ocean Express, a five-minute train ride during which the lights dim and the overhead monitor displays underwater animals, he saw a woman staring at her glowing phone in the middle of the packed carriage. The stay-at-home dad entered A Node Glows in the Dark in the National Geographic Photo Contest 2014. 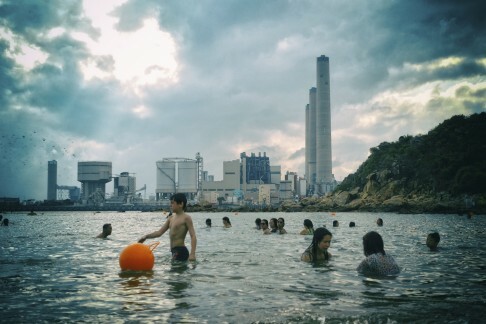 Price of Modernity shows the Lamma Island power station. “Since there are so few accessible beaches in Hong Kong, on a nice spring weekend, people still hang out at this beach even if the water quality and scenery is less than perfect,” says Yen. Taiwan-born Yen won US$10,000 and a four-day trip to the National Geographic headquarters, in Washington, in the United States. He toured the magazine’s archive room, which contains more than a million images, and met world renowned photographers Steve McCurry (best known for his portrait of “Afghan girl”) and David Doubilet. 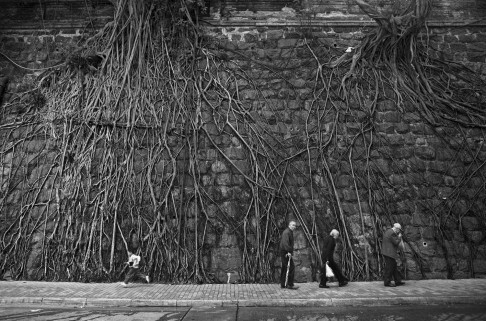 A former investor in tech start-ups in Silicon Valley, Yen rediscovered his passion for photography after moving to Hong Kong 10 years ago. His work has since been published in The Washington Post, National Geographic and on the blog My Modern Met. The Krubera Pumpkin Cave “Standing at the entrance to the famous Krubera Pumpkin Cave, the deadliest pumpkin cave known to man, I took my last shot before entering. 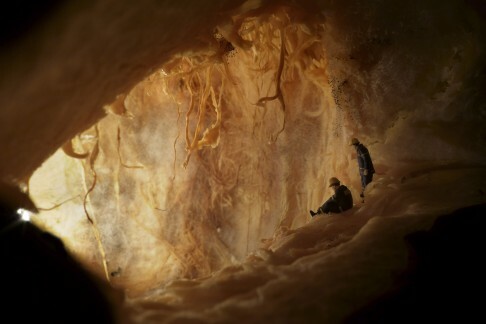 The legendary cave has claimed countless explorers, including several from National Geographic. No one has ever gotten out alive. OK, OK … it’s just two little figurines inside a mouldy pumpkin, but hey, I live in Hong Kong, I don’t have many caves to explore,” jokes Yen. 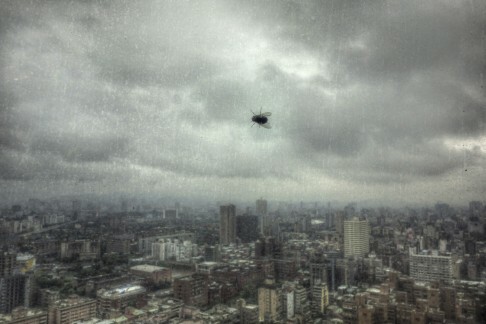 Nevertheless, Yen insists that, for him, photography is an art, not a vocation. He openly shares his photographs on his public Flickr stream, and keeps a relatively low profile – he politely declines to have his photograph taken for this article. “I want people to recognise my photography, not my name or my face,” he says. 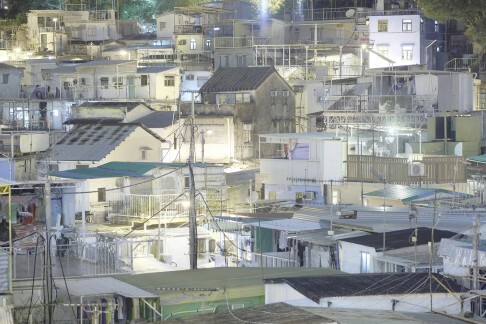 Yen began taking pictures in the 1970s, as a teenager, shooting on an old rangefinder camera. Today, he mainly shoots with either a Canon 1Ds Mark III or a Sony RX100 Mark III, but also uses the camera on his iPhone. Once a year, Yen travels to the Philippines as a volunteer for the International Care Ministries, to photograph a poor family. He donates one shot from the trip for auction and the money it raises is used to help the family in the picture. A Bottled Existence “Life in the densest city on Earth makes you feel like you’re drowning in a tiny bottle,” says Yen. A small, magnetically operated rig was used to position a tiny figurine inside a bottle, into which water was then poured. 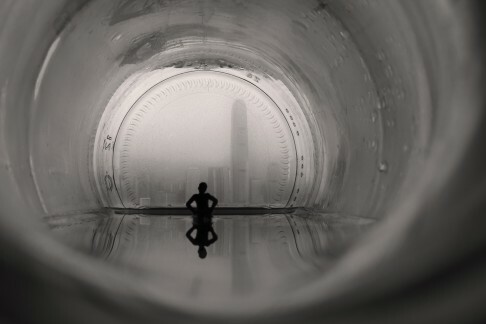 The image of the Hong Kong skyline, taken one foggy morning, was displayed on an iPhone placed behind the bottle. To see more of Yen’s work, go to http://www.flickr.com/photos/briyen.